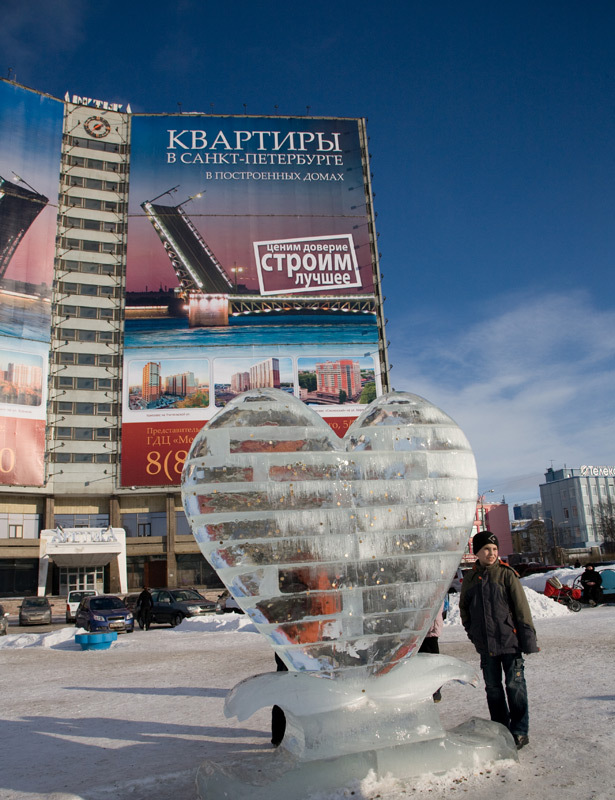 Situated in northwest Russia, Murmansk is the largest city north of the Arctic Circle, and midway between Moscow and the North Pole. 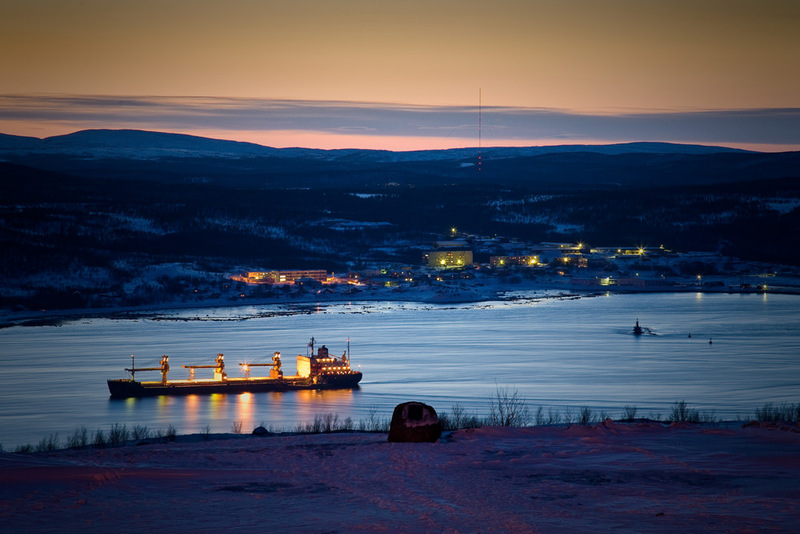 Murmansk, nestling high up in the Kola Inlet and half way between Moscow and the North Pole, is not usually high on the priority list of those who want to visit the mighty expanse of Russia. It’s true to say that, for those whose experience of the country is going to be limited, St Petersburg or Moscow offer a cornucopia of all things accepted to be Russian, but straying off the beaten track in this huge melting pot of culture, nature, politics and people delivers sparkling rewards for those brave enough to embrace the adventure. 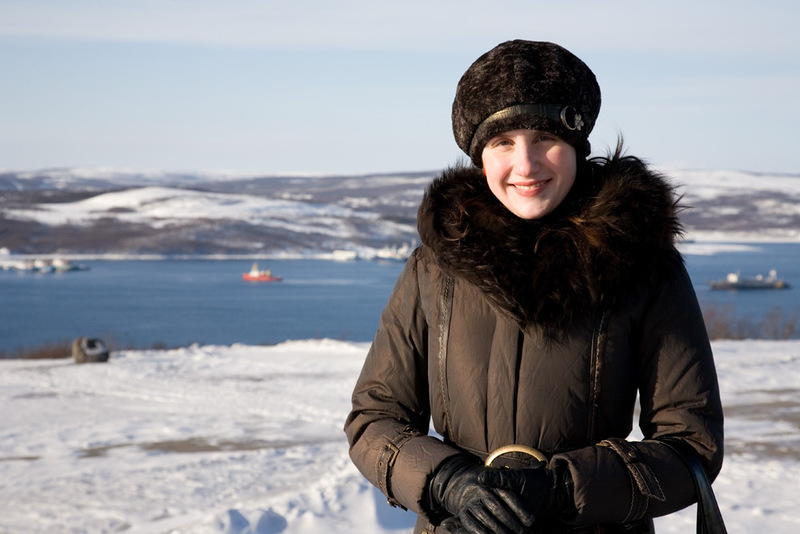 The largest city north of the Arctic Circle, Murmansk feels like real Russia. No particular airs and graces are put on for relatively infrequent tourists; this is a working city, stoical and resourceful, and proud to be emerging from its bleak, wilderness years of the 1990s, when its population plummeted sharply. But thanks to a very profitable fishing industry and a little help from its Scandinavian and western European friends, this bustling metropolis, with its busy shopping and social scene, feels contented, calm and relaxed. 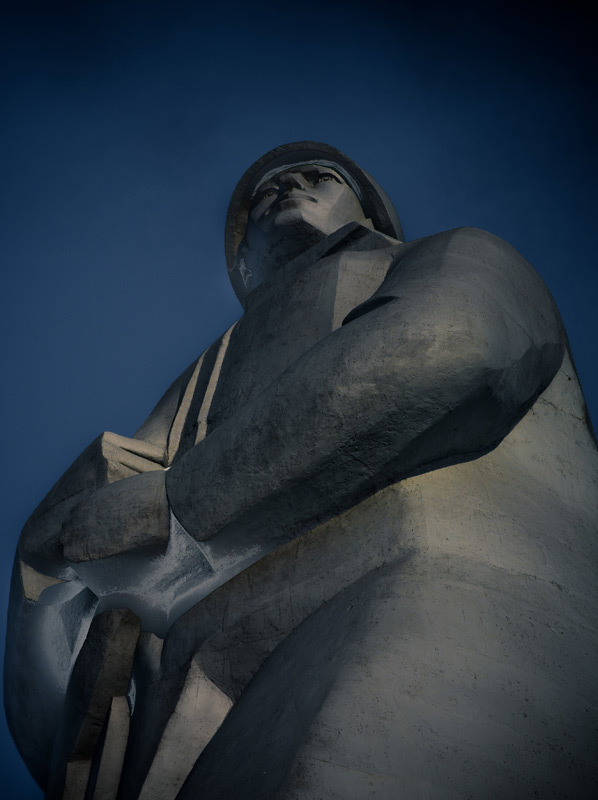 Far from being the grey, Soviet wasteland that some reports would suggest, Murmansk offers a peaceful if unremarkable little haven, and provides an excellent base from which to explore the stunning Kola Peninsula. 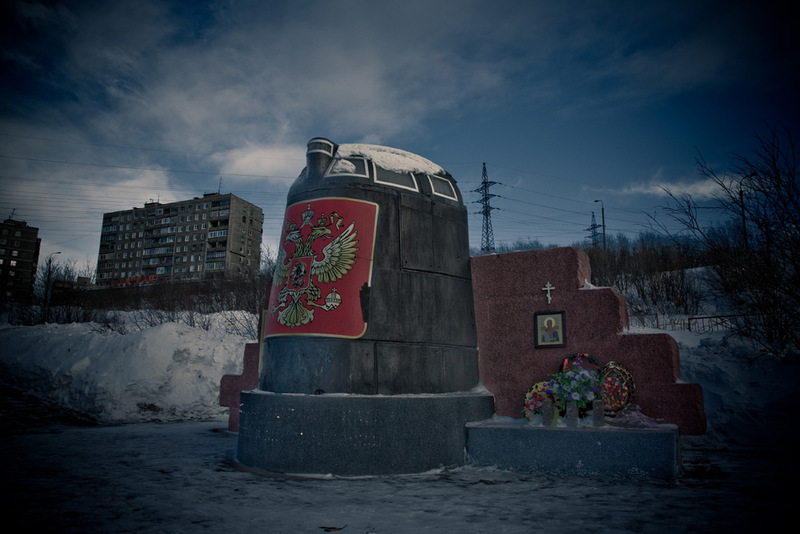 As with many of the more unusual undertakings featured on World Travel Blog, the devil is in the detail, and planning a trip to Murmansk will likely be met with a glazed stare or furrowed brow from your regular travel agent. Even Expedia, although able to furnish you with an excellent hotel in the city, will struggle to actually get you there. It’s not that easy a journey, but it is simple. However, the combination of plane and train adds unnecessary confusion and quite often, sadly, computer says ‘no’. If you want to turn this around in about a week, our advice would be to head for St Petersburg. No real problems there as flights are readily available, and if you give yourself a couple of nights here you’ll get a great opportunity to explore this wonderful imperial city, which is treat enough in itself. The Petro Palace Hotel, situated on Malaya Morskaya Ulitsa, is both comfortable and affordable, and is a beautifully placed hub from which to access many of the city’s highlights, including the Winter Palace, the Hermitage, the Admiralty and Nevskiy prospekt, St Petersburg’s main commercial thoroughfare. 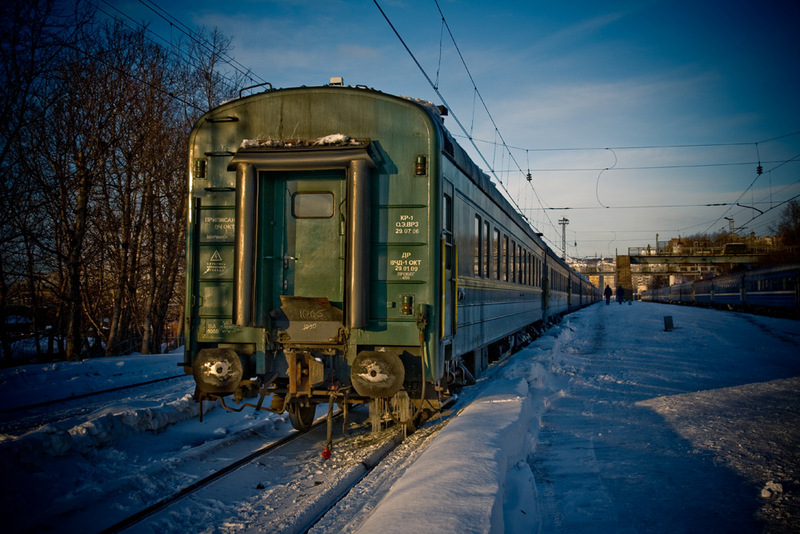 Your onward journey to Murmansk is best undertaken by overnight train, and a Monday afternoon departure from Ladozhskiy Vokzal (this is not the Moscow station, St Petersburg’s main railway terminus, so beware) will get you into Murmansk (Му́рманск) at around 8.30pm Tuesday. Remember, if you don’t want to share your overnight cabin, you need to book a first class twin berth (SV – pronounced ‘es veh’), for which you’ll need to pay an extra supplement if you’re travelling alone. Sharing a sleeping compartment with unknown counterparts can certainly add to the adventure, but is not everybody’s cup of chai. Booking trains in Russia is straightforward if you know how and have a little language at your disposal, but if not you’d be well advised to book in advance (www.russiantrains.com are great for the US and UK, or www.regent-holidays.co.uk offer an excellent service from the UK). On arrival in Murmansk, remember the tourist is not common place, so don’t be too daunted if the local police stop you and ask to see your passport. You’ll have to let them, but under no circumstances surrender it. If you’re offered a taxi by the local police official, you should be ok to take it, but bear in mind you’ll probably pay two or three times as much as if you flag down your own. It always pays to use a properly signed, official taxi for an uncomplicated service that won’t try to fleece you. The little old Russian man with the flat cap and the unmarked, orange Lada may seem genial enough, but could well have his child locks on and, inexplicably, no change. You could do a lot worse than to choose the Park Inn Poliarnie Zori, on Knipovicha Street, for your accommodation. 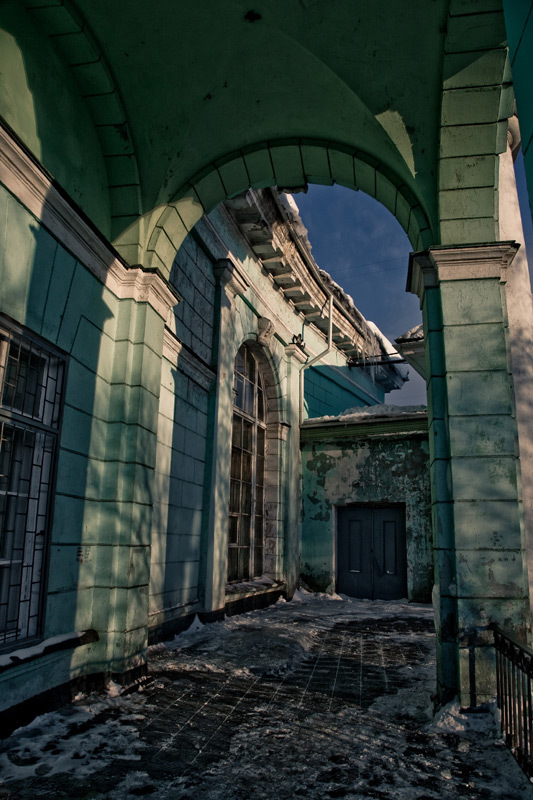 Again, it’s ideally situated and feels quite western in its approach to guests, something which cannot always be taken for granted in Russia. 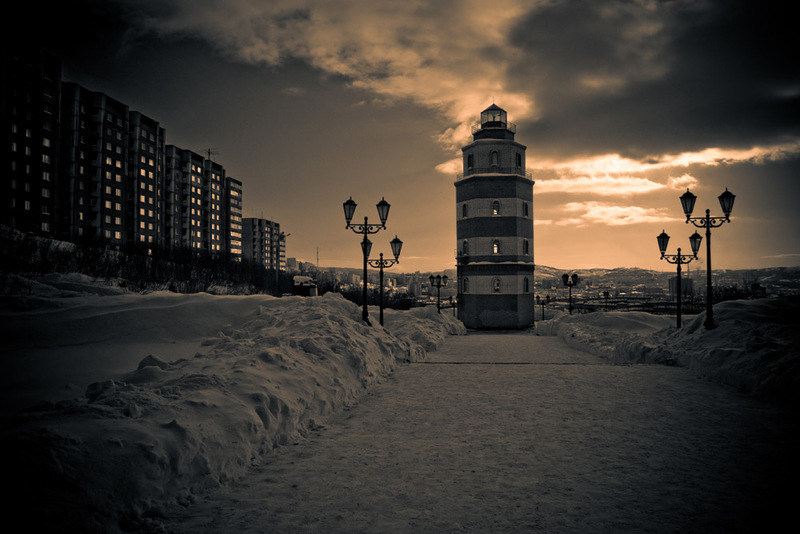 Three nights is a reasonable time to spend in Murmansk, but to get the most out of your trip we’d definitely recommend a guide. An hour’s walk around the city, particularly when its rush hour roads are thronged with smokey traffic, is enough to make you realise that the attractions it has are quite far flung. A tourism office is situated on the ground floor of the hotel, and the staff speak very good English. You pay for your guide by the hour, and the driver separately, but the combined price does not amount to a fortune, and it’s a great way to get the local knowledge you’ll require to discover the city. Our guide, Olga Kuzovleva, was superb, allowing us ample time to digest all we saw with an accompanying explanation and plenty of anecdotes. 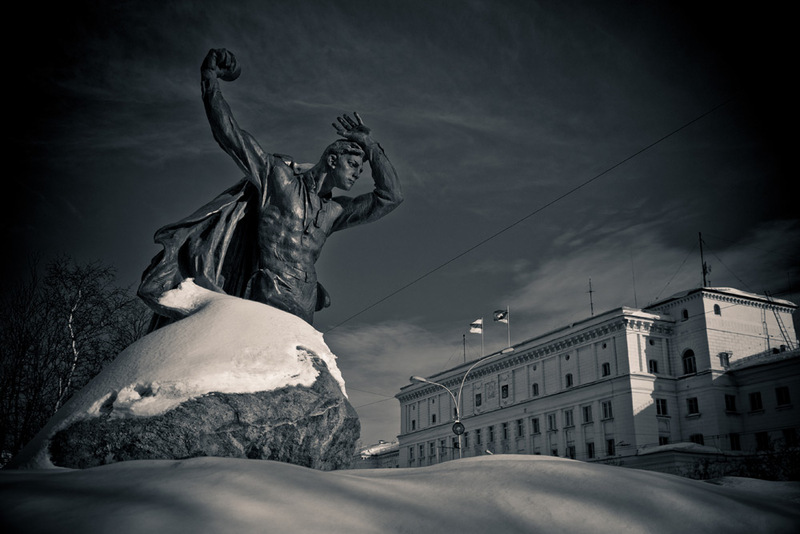 Make sure you see the majestic statue of Alyosha, towering above the city and harbour, together with the former Hotel Arktika, soaring up from pl Pyat Uglov (Five Corners Square), Murmansk’s main hub. Also not to be missed are the beautiful Church of the Saviour on the Waters, with its pure white stonework and golden domes, the nearby Lighthouse Monument and the Memorial to the Kursk submarine disaster, which is actually made from part of the salvaged vessel. The Anatoly Bredov Monument and Regional Palace of Culture are both worth a look plus, of course, the impressive and hugely important harbour leading out into the Barents Sea, from which in the summer months you can cruise to the North Pole on Russian icebreakers. 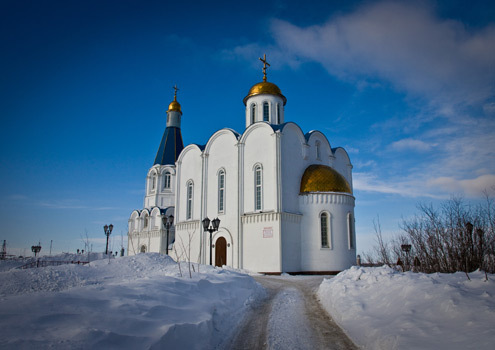 Murmansk is also a great base for exploring the breathtaking Kola Peninsula, and whether you fancy a snow-mobile tour or a spot of skidooing, trips can be arranged which will take you into the heart of the frozen north. At the very least, you should consider a drive out to Lovozero (the tour office will hire you a driver and a car, also charged by the hour), a remote Sami settlement, which gives you a real flavour of the harsh life endured in an Arctic climate. At the end of your week, another overnight train will deliver you safely back to St Petersburg, where you can either chill for a while longer or make your onward journey home. 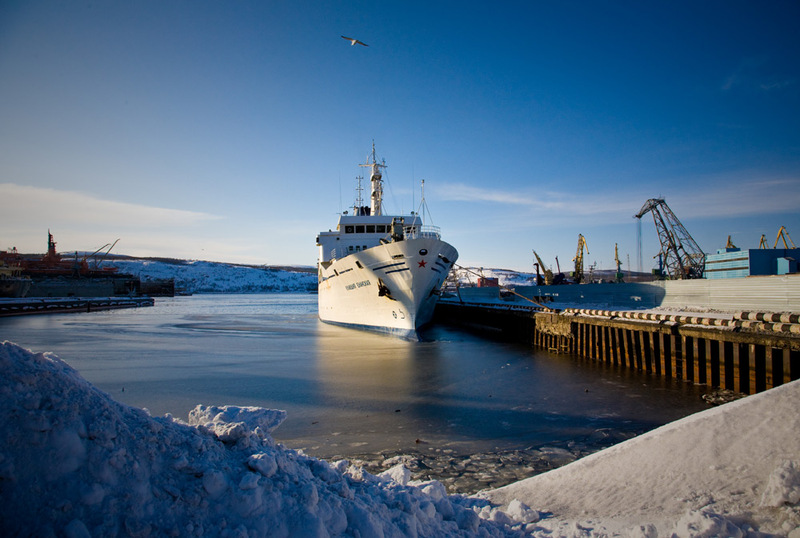 Either way, the Murmansk experience is one which is a little out of the ordinary; one which leaves you feeling you’ve been somewhere a bit special.